Lately I have become very aware that we are approaching the summer months. Usually where I live in Virginia there is more of a slow transition from winter to spring to summer. Not this year. 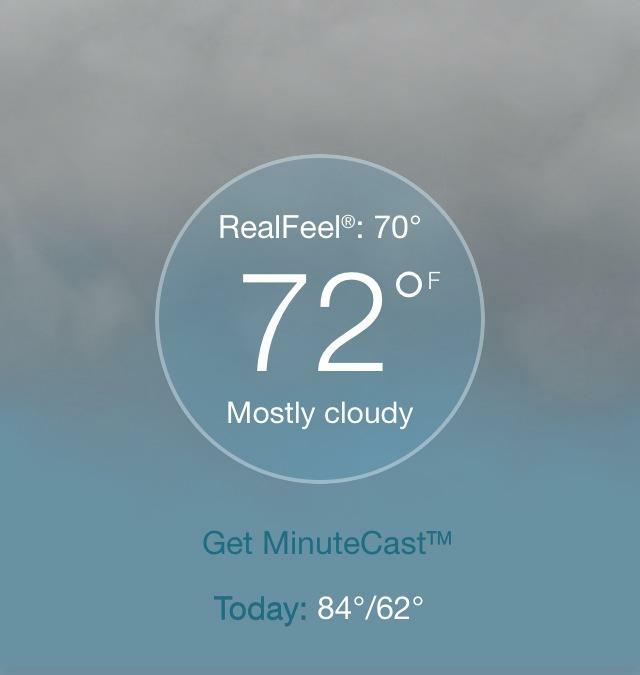 After a very harsh and long winter, it feels like we skipped straight to heat and humidity. This past week temperatures were in the 80s. Next week will be more of the same and even a day that will go into the 90s! In early May. This is crazy! The temperature this morning at 6 a.m. when I started my run… and it climbed higher after that! 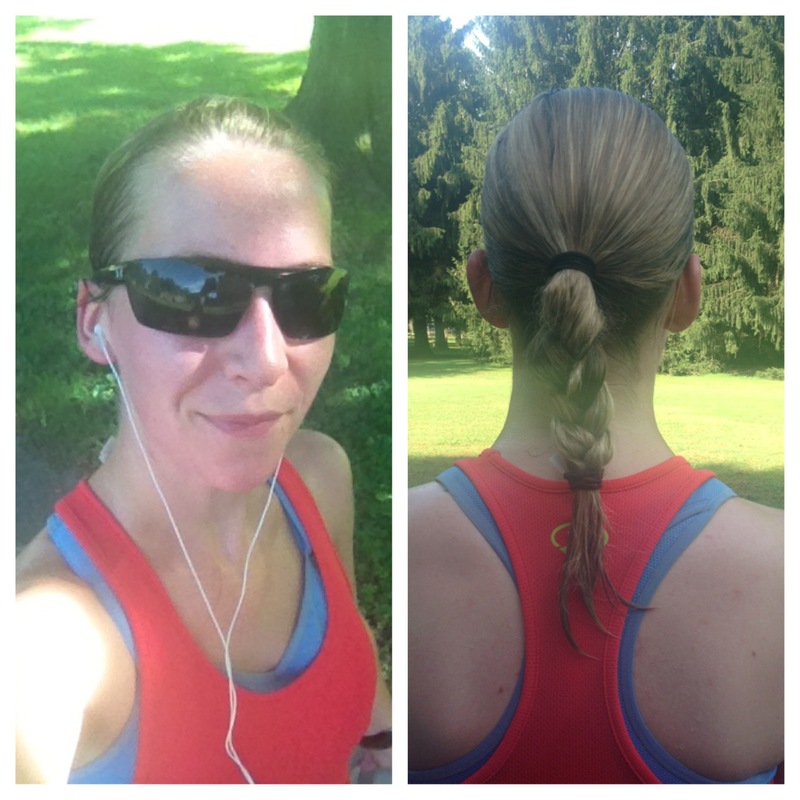 As I struggled through a hot run a couple days ago I started thinking about running in the heat and how to deal with it. Just because it’s summer doesn’t mean you will be forced to use the dreadmill all season long or that you can’t run at all. Over the years (and LOTS of trial and error), I have learned how to run safely in the heat as the temperatures warm up. Here are my tips and tricks to get you through the summer months, based on my experience and also my RRCA Coaching Course. 1. Adjust your goals and expectations. I put this first because it is by FAR the most important, in my opinion. 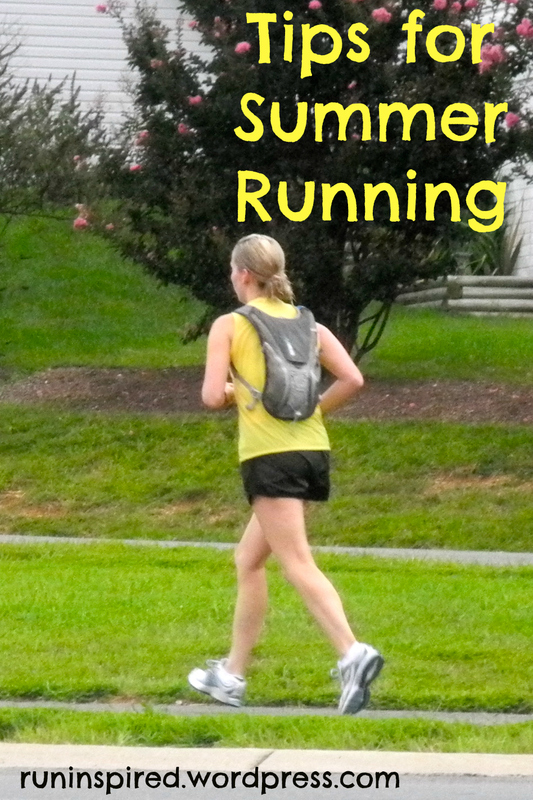 Flexibility in terms of pace and distance is key in the summer when it is hot and humid outside. I will admit, this is a hard one for me to accept. But I have learned the hard way too many times by my stubbornness (Exhibit A, Exhibit B, countless training runs and other races that were pre-blog) and I am much more careful now. 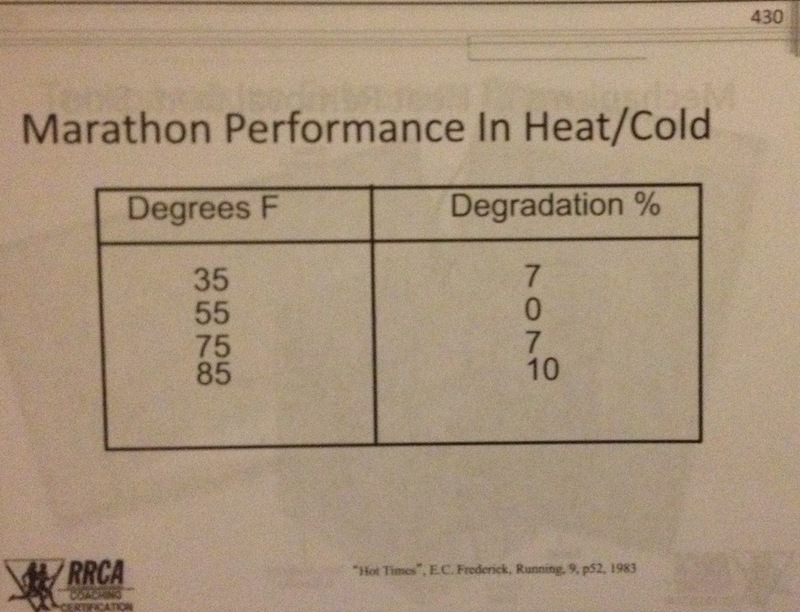 This can also be tough because many people training for fall races have to train in the hottest months of the year. Just remember that even if you can’t hit your pace goals or even some of your long run mileage, running in the warm temperatures IS making your body stronger and more able to adapt to stress. It will only make you run better on race day- when hopefully you will have perfect fall conditions :). This happens to me every. single. year. And I have gone on to have some of the best fall races afterwards! You might even consider running without a watch and just go by how your body feels instead. I do this a lot in the summer to take some of the pressure off. Another option is to do walk/run intervals. That’s fine! Don’t feel bad about doing what you need to do to stay safe in the heat. 2. Give yourself time to acclimate to the heat. It takes a minimum of 5-10 runs of an hour or more to acclimate your body to the heat. If you run for less than an hour (most people don’t run for an hour every time they go out), it will take even more. This was eye-opening to me when I learned about it. In the past I have become very impatient and frustrated with myself when I feel like I should be “used to” running in the heat after only a week or so of hot temperatures. This is not the case at all! Heat causes the body to change in many ways- your body temperature and oxygen uptake increases, your glycogen is depleted faster and your lactate levels increase- basically, you feel weaker, your legs feel heavier, and you have less energy to burn. While you are working on acclimating yourself to the heat, make sure to reduce the intensity of your running for the first few days and try to be patient. 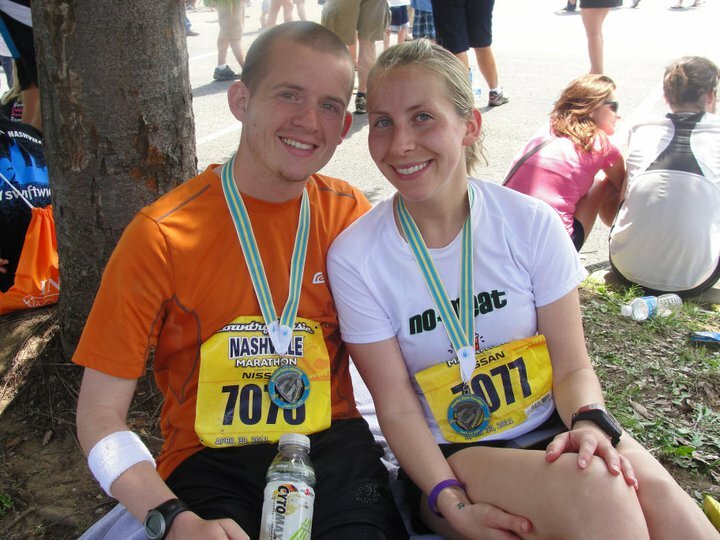 After a super hot race in Nashville. My body was not acclimated to the heat and I ran my slowest marathon ever. 3. Try to run during the coolest hours of the day. It makes sense to try to run as early as possible if you know it’s going to be a hot day. This is when temperature will most likely be the coolest and the sun won’t be out as strong as it would be later on. The morning is also when your core body temperature is the lowest. 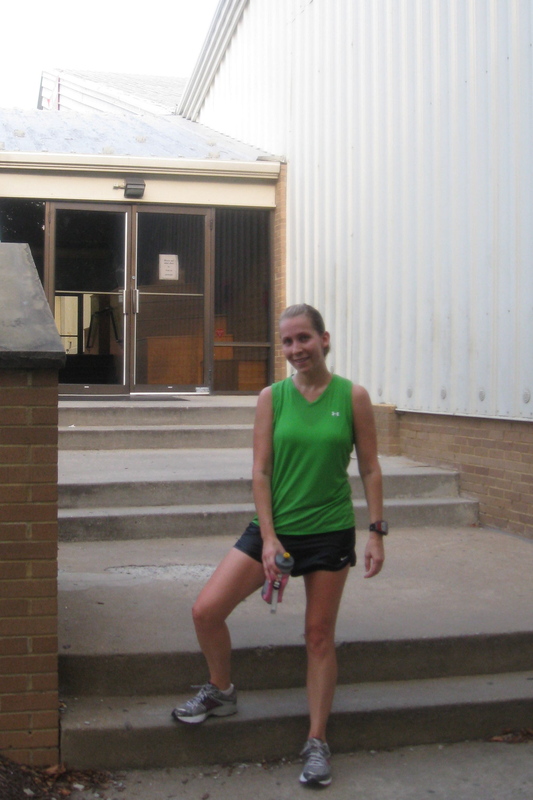 In the summer, it’s not unusual for me to try to start my long runs by 6 A.M. at the latest. If I end up going out later, I will at least pick a place that is as shaded as possible. There is a paved trail in the next town over that is mostly shaded. It’s worth making the drive up there if it’s a hot day. I also like running on another trail that goes through a state park, because it’s surrounded by tall trees that block the sun. 4. Dress appropriately. Wearing proper clothing can make a huge difference in how comfortable you feel during a hot run. It pays to invest in light-colored, loose, moisture-wicking clothing. Lighter colors will reflect the heat rather than absorbing it. Loose clothing allows heat to escape better than tight fitting clothes. Moisture-wicking material will help draw sweat away from the skin and dries quickly, which will help you stay cool. Some people will even run shirtless, but I’m not that brave. I just choose clothing that is so light I practically feel like I am running naked. Lightweight, breathable socks (heavy socks = too much sweat = blisters), visors (better than hats, which trap the heat and do not allow it to escape), and sunglasses are also great to wear in the summer. 5. Protect your skin. Running in the heat and humidity usually means wearing less clothing, which means more skin is exposed. Sunscreen is so, so, so important when running in the summer, even if it’s cloudy! But be careful, some brands will drip into your eyes if you apply it on your forehead. 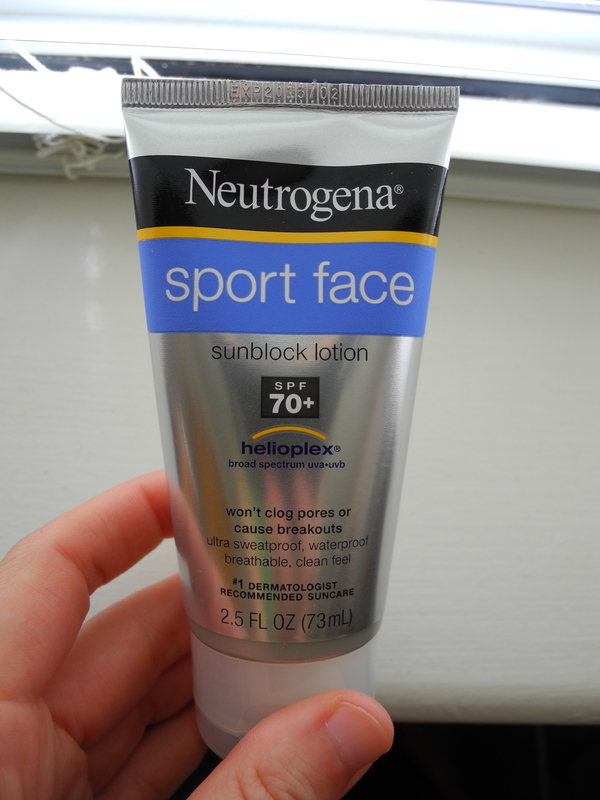 I really like Neutrogena Ultimate Sport, SPF 70- they have one for the body and for your face. 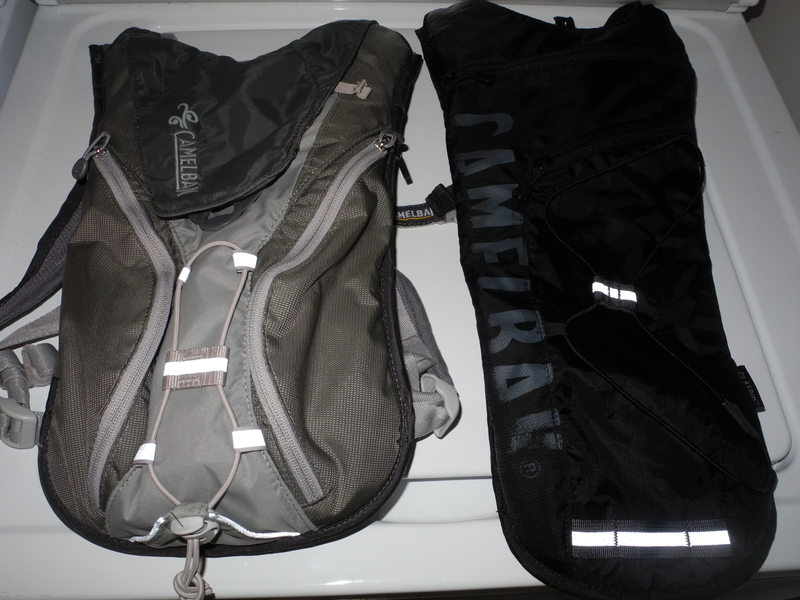 It doesn’t drip or sweat off, and has lasted for even my longest runs that are several hours long. It’s also VERY important to protect your skin from chafing by using Body Glide, Vaseline, or a product like that. Chafing happens when skin rubs against something, and gets worse with sweat. This can be a big problem in the summer! Before a hot and sweaty run I apply Body Glide everywhere- along my sports bra seams, under my arms, my inner thighs, the waistband of my shorts, my feet, anywhere that skin could rub. There is nothing worse than getting in the shower after a hot run and realizing you chafed somewhere by feeling that terrible, searing pain! Body Glide was also my best friend when I was pregnant too (see below picture). It’s a great investment! 6. Hydrate, hydrate, hydrate. Obviously, it is super important to stay well hydrated in the summer. This means drinking before, during, and after your runs. It’s important to set yourself up for success by starting your runs with a full tank of water inside you. 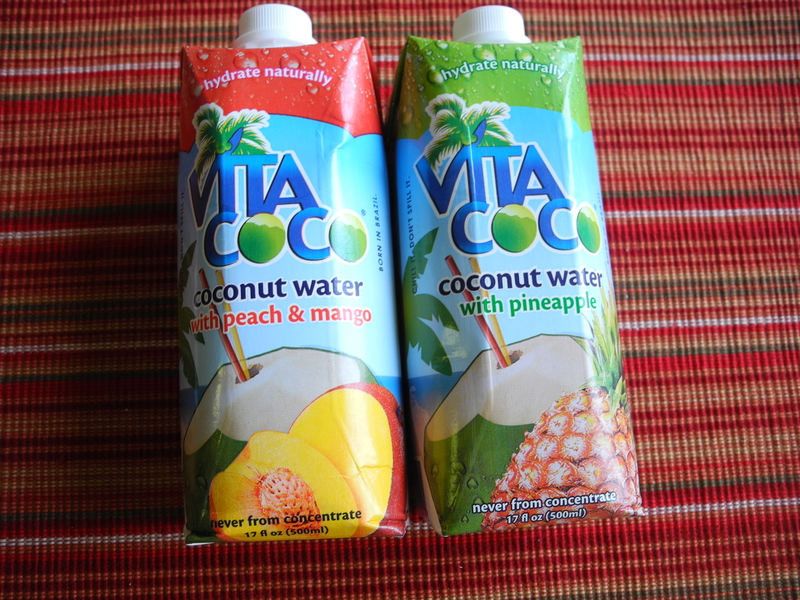 It is also necessary to have a hydration plan for while you are running. 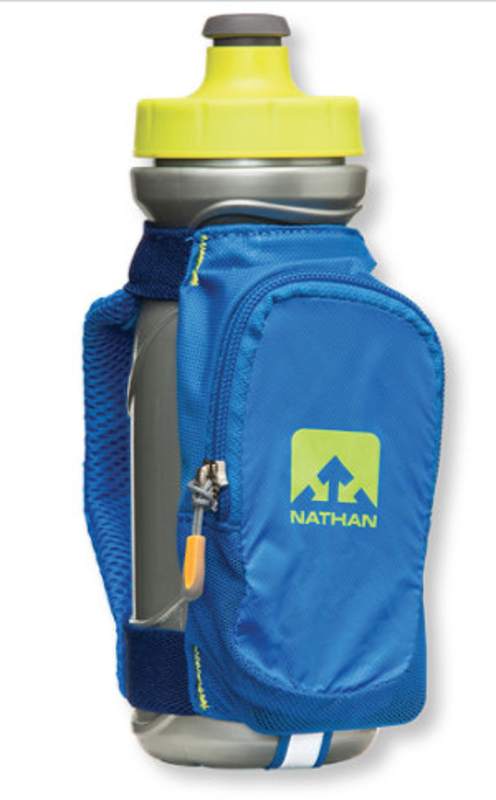 I love my handheld Nathan QuickDraw Plus water bottle for shorter runs, and my Camelbak for long runs. But I also have some tips and tricks for getting creative with hydration, especially on long runs, since it can be tough to carry enough water on hot days and I hate carrying extra stuff when I’m hot. Plan a route that loops back to your house at some points, so that you can refill your water or grab a cold towel. Plan a route that passes any place you could refill your water or buy more (gas station, fast food restaurant, park with a water fountain). Stash water bottles on your route ahead of time, hiding them in a bush or somewhere out of sight. If the temperatures are warm enough, you can even put them out frozen and they will melt in time for you to drink and be perfectly ice cold. Have someone come out and meet you during your run. There have been many times where I’ll have Kevin come out to meet me halfway to replenish my water. Make it a game to find yards that have sprinklers going and run through them. Or if you loop back to your house you can have someone ready with a sprinkler or hose. It’s fun AND it cools you down! Continuing to drink after your run is important as well. I have found that if I don’t keep refilling my water bottle throughout the day after a hot run, I get bad headaches and even stomach cramping later on. No fun at all! If you want to, you can determine how much water you lose while you run and what you will need to make sure to replace afterwards. All you have to do is weigh yourself before and after your run. Convert the pounds you lost into ounces, and make sure to drink that amount. For example, if I weigh 130 pounds before a long run and 128 after, I will need to drink 32 ounces of water. 7. Don’t forget electrolytes! Water alone is not enough to sufficiently hydrate you on hot days and especially if you are doing a longer run. You also need to replace the electrolytes you are losing through sweat or you will risk an electrolyte imbalance, which can lead to many serious health risks and illnesses. Electrolytes include sodium, potassium, magnesium and chloride, and you can get these from a variety of sources: sports drinks like Gatorade, Accelerade and Nuun, energy gels and chews like Gu, Clif Shot Bloks, Hammer Gels, Honey Stingers, etc., and a more natural alternative: coconut water. I like to get electrolytes in during hot runs as well as afterwards. 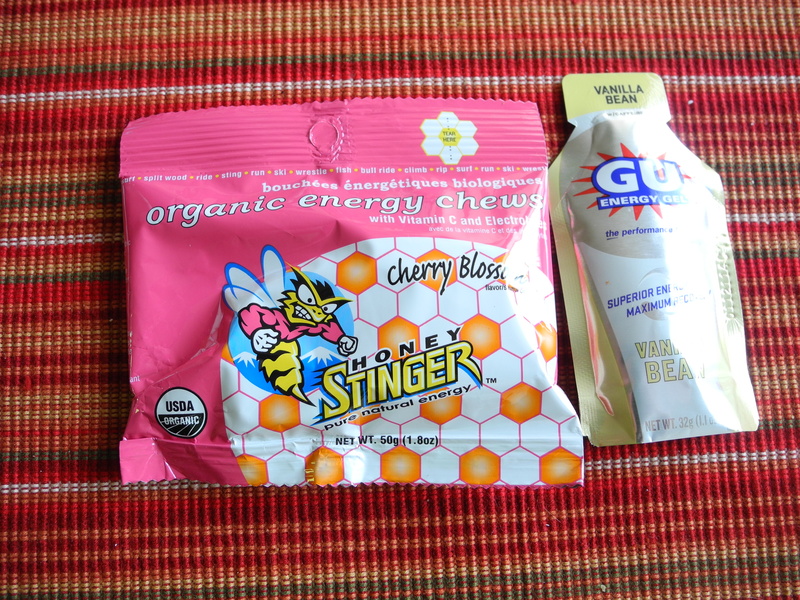 Generally, I will drink water while I run but I get electrolytes on long runs by alternating between Honey Stinger Energy Chews and Clif Margarita Shot Bloks every 30 minutes or so. I like the Shot Bloks in the summer because they have extra sodium. I am a heavy, salty sweater (always have dried salt on my clothes and skin after a long, hot run), and I noticed I was getting pretty bad cramps on my long runs last summer. The Margarita Shot Bloks really helped. I don’t do them every time because too much sodium can cause water retention and swelling. Alternating them works perfectly for me. 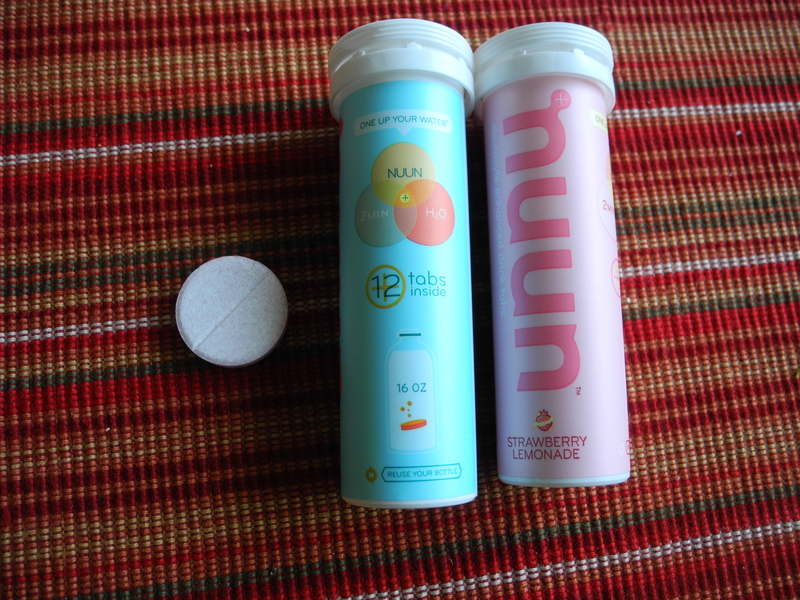 After a hot run I like to drink Nuun or Coconut Water. I also put some extra salt on my food that day. Doing these things really helps keep the post-run headaches and cramps away! 8. Use the treadmill as a tool. Although I am not the biggest fan of the treadmill, it can be my best friend in the summer. I will often choose to use it if I don’t want to battle the heat and humidity or if I can’t get out the door early enough. I was on it almost every day the summer that I was pregnant too, just to make sure I didn’t overheat. The treadmill can be an awesome tool during the hot months. During marathon training, I would do as many miles as I could outside and when it got too warm or I started to fade, I would finish the rest inside on the treadmill. This allowed to get my miles in without compromising my safety. 9. Know when to call it quits. There will most likely come a time when it truly is too hot to run. If you know this before you start your run, be flexible and try again another day. If you’re already out and running, it is so important to pay attention to your body and watch for signs of extreme dehydration, heat exhaustion and heat stroke. For me, I know that I need to stop and walk when my breathing starts to get out of control and my heart rate starts to climb too high. I often feel like I can’t get a full breath when I’m running in hot and especially humid conditions. Shallow breathing = less oxygen = heavy legs = slowing pace and a whole lot of other health issues. Without enough oxygen our bodies start to have to work harder which causes our heart rate to spike. Here are some other signs of heat illnesses. A few of these are what I experienced during my DNF in Myrtle Beach, which I believe was caused in part by me getting over being sick but also dehydration. Headache or intense heat buildup in the head. Confusion or lack of concentration. Oversweating followed by clammy skin and cessation of sweating. Upset stomach, muscle cramps, vomiting, dizziness. If you experience any of these you need to stop running immediately and get medical assistance. Here’s to running safely and happily in the summer heat! What are your tips? Did I miss any?